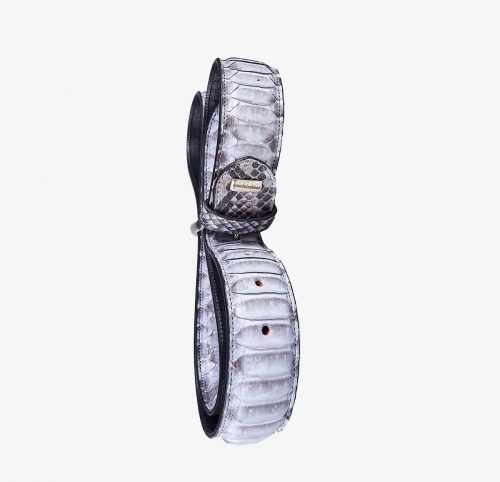 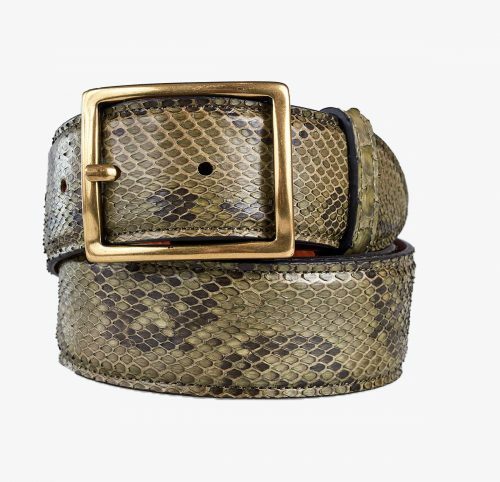 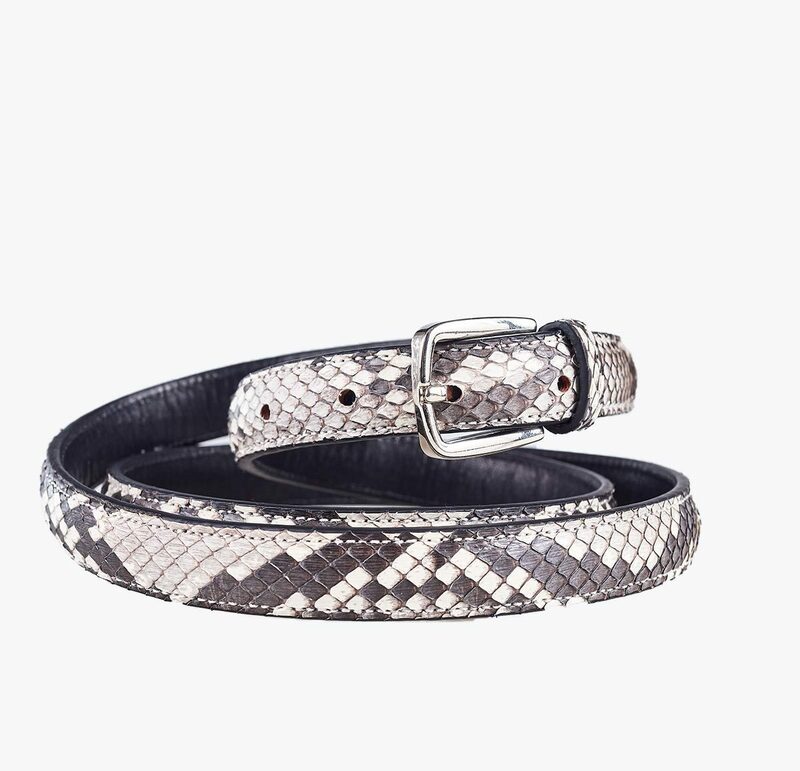 Belt made of genuine python leather; the outside in natural leather colour and the inside made of top-quality bovine leather. 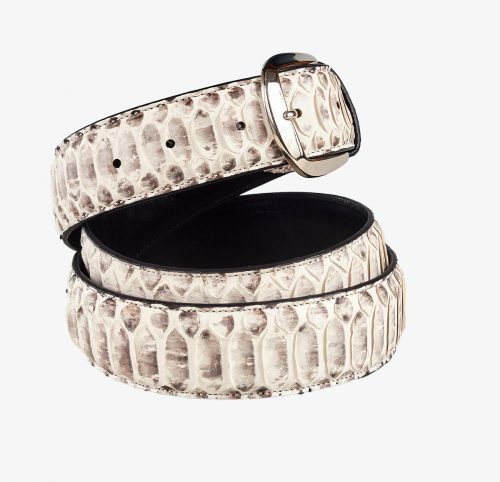 With interchangeable buckle. 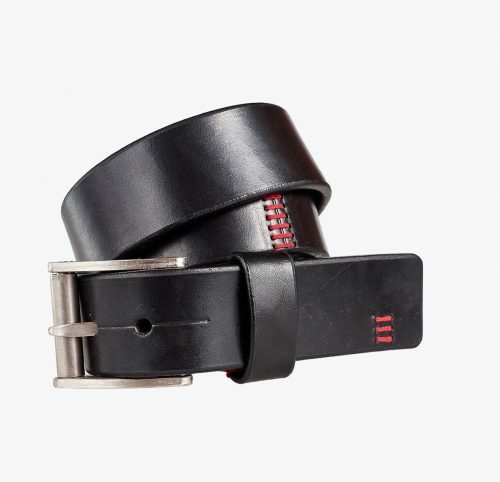 This is a unique accessory with an essential and elegant design.